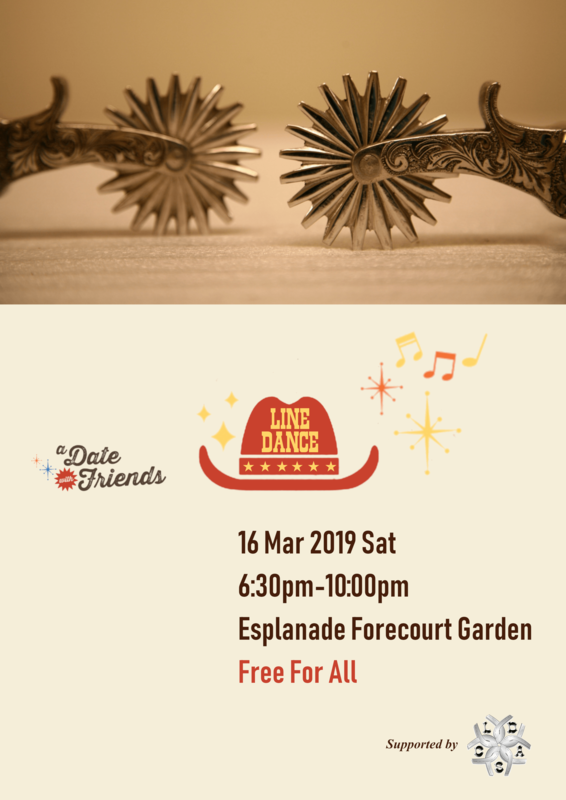 It is time to come join the fun at The Esplanade Forecourt Garden for another free-for-all line dance jam. The jam is part of the annual A Date With Friends event. You can practically spend the whole weekend exploring the various activities and finish it off with your favourite one. We are honoured The Esplanade has asked us to help out for the 4th year in a row. 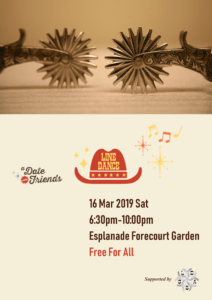 So, mark the date 16 March 2019, Saturday, 6:30 pm – 10:00 pm in your calendar and we will see you soon! 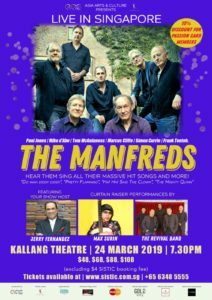 The Manfreds is coming to Singapore Kallang Theatre for one night performance only on Sunday, 24 Mar 2019. If you are a fan who can’t wait to enjoy their share of the 1960s pops, I have good news for you. CLDAS has secured a special deal for you. Plus, you get an upgrade to the next higher category of ticket without any fee. For instance, buy a S$40.80 ticket and get upgraded to a ticket worth S$57.80. Totally free! Talking about free, there is also no SISTIC booking fee of S$4. 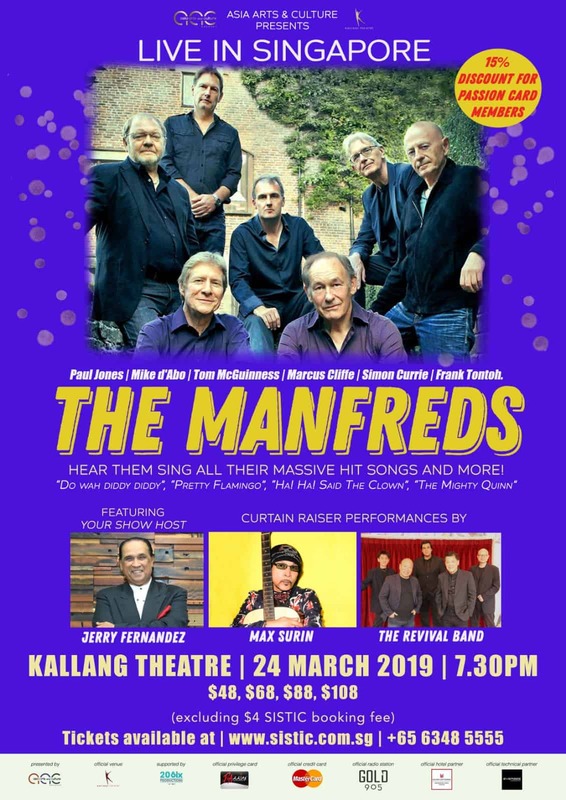 The above special deal ends at 10 pm, Friday, 15 Feb 2019. Please note: Booking is only confirmed upon us receiving your full payment by the deadline. We cannot promise any ticket should payment isn’t made by then. We will inform you when to collect the tickets within 2 weeks after the booking through us is closed. Why wait? Book your tickets through us now!